Cut the sweet potatoes into sticks that are about 1/2 inch wide and 3 inches long. 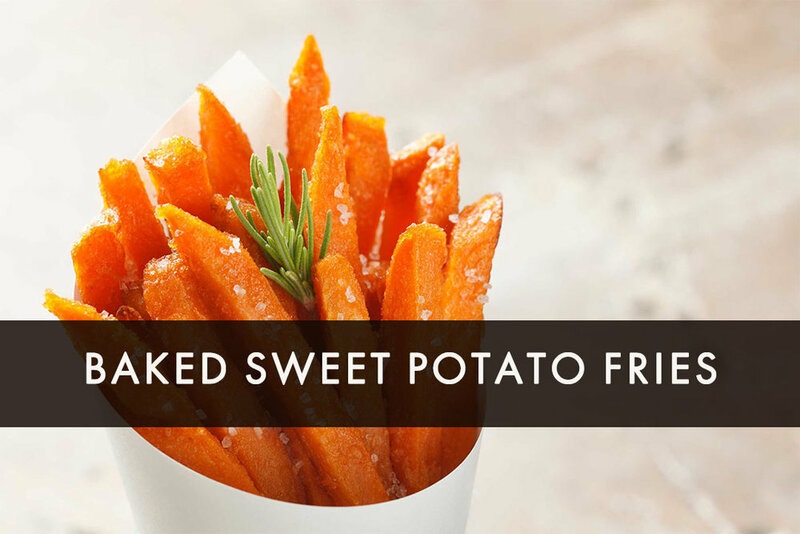 Toss sweet potatoes with the olive oil and set aside. Mix the spices, salt, and pepper in a small bowl, and sprinkle them over the sweet potatoes. Cover a rimmed baking sheet with parchment paper and spread fries on top of it so that none are overlapping. Bake for about 15 minutes until golden brown and crisp on the bottom. Then, turn them over and cook until the other side is crisp – for about 10 minutes more. Pro-tip: Prior to cooking, soak pre-cut sweet potatoes in water for an hour. This will help make the fries crisper.